This entry was posted in Uncategorized on July 10, 2018 by dk. Unlike our ancestors, we no longer search for food. Instead, we are now on a quest for time, as hours fly by while we’re hunched over a keyboard. 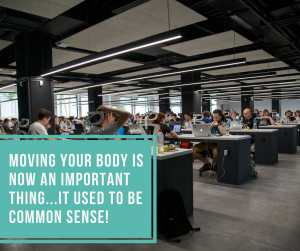 On an average day, many of us are likely sitting more than we are moving and consuming more calories than we are burning. Many of us regularly put in eight-hour workdays seated at a desk – sometimes even more. We then go home and unwind on the couch, binge-watching our favorite shows. The hours begin to add up. We live in a world of many technological conveniences, and yet, we take so many of them for granted — and in some cases to our detriment. Turn back time and reverse the mortal clock by opting for “less convenient” choices in your day. Walk over and have a conversation with your colleague instead of sending an email. Take the stairs instead of the elevator. Bike to work instead of drive. Small activities can make a significant impact! Do you spend excessive amounts of time sitting? 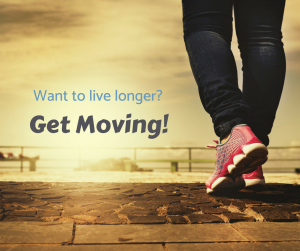 Do you experience any health problems that you think could be related to a sedentary lifestyle? Let’s chat and get to the root of your health issues. Book an appointment with me, and together we will find ways to improve your overall health and well-being so that you can live your life to its fullest. Call or email us at 905-852-7969/[email protected].